Everything we choose to do in life is a choice: the food we put in our bodies, the exercise routine we follow, the path we choose to walk. I’ve realised that choosing a fitness lifestyle also means paying attention to what I’m also putting into it. I made it a New Year’s resolution to eat better and healthier, but the protein shakes I make after each class was not something I had given much thought to. Protein shakes are meant to be good for you if you’re trying to be fitter, right? But have you ever wondered if these shakes are good for you, what all those scientific ingredients really are? I had a look at the list of ingredients on the back of my commercial whey protein shake powder and although they only mention several ingredients (like Whey Protein Concentrate (Milk) (91%), Emulsifier (Soy Lecithin), Cocoa Powder, Flavouring, Sweetener (Sucralose)) on their website, the actual list of ingredients is somewhat longer. When I read reviews of the Purition vegan raw hemp range (see here), I knew I had to give it a try. 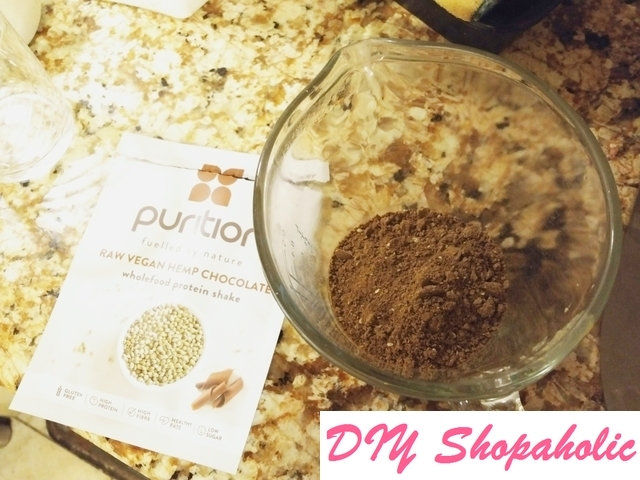 Purition offers a lot of flavours in their wholefood range, but because of my dairy-free diet, I decided to stick with the vegan options and bought the vegan trial box to see how it would compare to my current bag of protein shake powder. The vegan range is dairy and gluten-free, full of protein, healthy omega fats and fibre from whole foods! Packed with 100% natural superfoods, low-carb, high-protein and all-clean ingredients leaving you feeling full and satisfied while your body burns fat thanks to our unique metabolism-boosting. The real food formula that includes the very best European grown hemp protein, almonds, chia seeds, golden linseed and coconut, to name a few of the ingredients, are not refined or highly processed ingredients. They are simply chopped, ground and blended without adding heat, so you don’t have to either. That’s it! It’s simple to understand with no ingredients in scientific language because all ingredients are all natural. At first I was worried about how it was going to taste, the OH would probably say that it tastes ‘healthy’ but to me, that’s a good thing. In comparison to the commercial protein powder I previously bought that tasted like chocolate peanut butter, the flavour was artificial. With Purition’s vegan raw hemp protein shake, I know exactly what to expect. There are 3 different flavours for you to choose from: the all natural wholefood raw hemp, raw hemp Madagascan vanilla or raw hemp chocolate. I was worried that the raw hemp shake would taste nasty but it was surprisingly pleasant. When you’re used to artificially flavoured protein shakes, you would be expecting a bit more flavour, but I like how it tastes natural and doesn’t need any additional flavouring. I added 250ml of soy milk at first to my measuring jug as per the instructions, but found the consistency to be too watered down, so now I only use 200ml of soy or nut milk. The vanilla flavour is subtle and not overpowering. There is a slight taste of vanilla so that you know it’s there but it’s not too much so that it tastes like artificial flavouring. 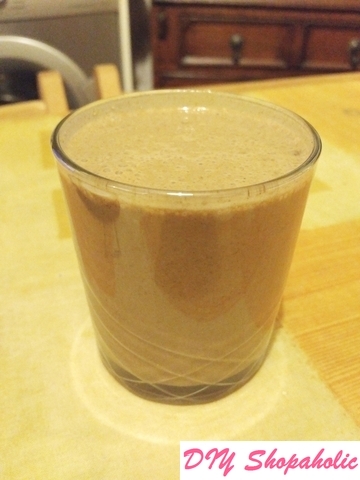 The cocoa is also the same, as you can see from the photo of the raw hemp chocolate protein powder, you’ll see that the colour is darker but as it’s dairy free vegan raw cocoa, the taste is not as sweet as you would expect. For all these flavours, there is the option to add natural ingredients to blend it with to create new shake combinations and flavours of your choosing (see some suggestions on Purition’s Youtube channel here). As all the ingredients are ground and blended, it doesn’t come as smooth and well mixed as commercially produced protein shakes so you’ll need to spend a bit of extra time (only really about a minute) blending the powder with the milk for a smoother shake. Since I started making shakes using the vegan trial pack (6 portions for £12.98 here), I can’t turn back to the artificial protein shakes. The natural ingredients are great for people like me who like to know what we’re putting in our bodies. I know I should eat more of a variety of fruit and vegetables, but with my fruit intolerances this also makes it difficult. The fact that Purition’s raw hemp protein shakes include nutritional yeast (for nutritional value only, not to be confused with active yeast for making bread) and natural fibres, I know I’m getting nutritional value from these ingredients which can also act as a meal replacement. I prefer to eat a healthier diet rather than replacing meals with shakes, but I have found one shake of about 250ml when blended to be quite filling. Full of nutrients, you can really drink this for breakfast, for recovery after exercise or as fuel for lunch. There are only 3 flavours available for the vegan raw hemp shakes, but if you don’t need a dairy or gluten-free version, there are 7 different flavours available from the Purition shop here. Have you tried Purition’s range of wholefood protein shakes? Which is your favourite flavour? 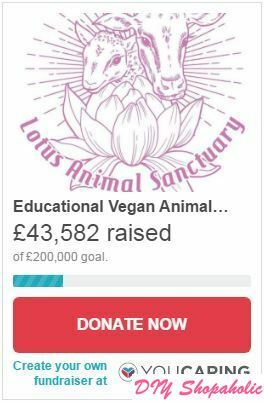 Next Cruelty-free Christmas present shopping!